Animals saved from the wildlife trade will never know how close they came to having their lives cut short - but judging by these recently rescued creatures' saddening huddle, they no doubt sensed the danger. 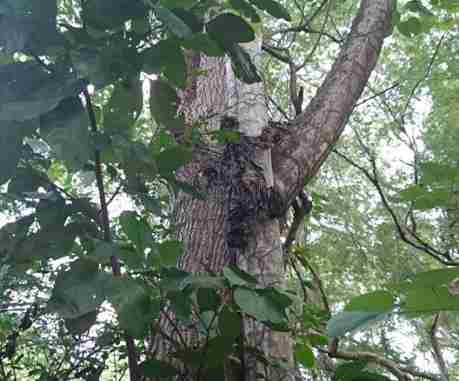 On Wednesday, police in Brazil attempted to stop a suspicious person seen walking near a patch of protected forest outside the city of Macapá. As they approached, however, the suspect fled, but not before dropping a large sack that he was carrying. It quickly became clear why he ran. 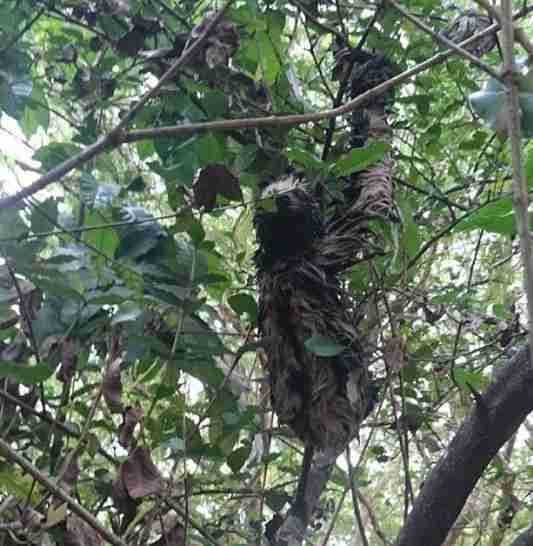 Inside the sack, officers discovered three pale-throated sloths, native to the Amazon. 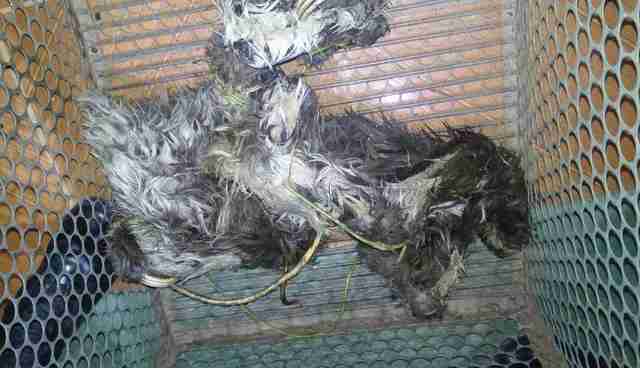 Fortunately, despite the indelicate handling from the suspected poacher, the sloths were still alive. 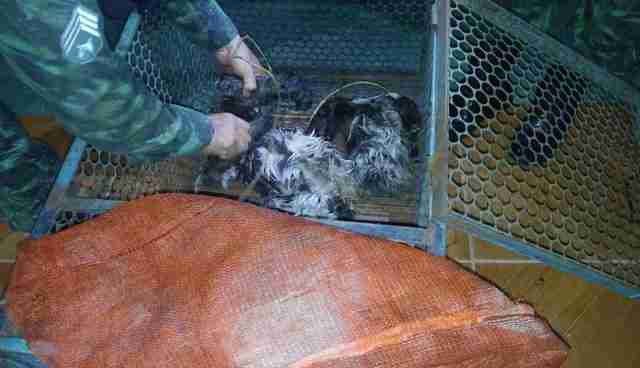 But they were virtually unrecognizable as they cowered in fear inside a transport cage. But by the day's end, they'd be back where they belonged. 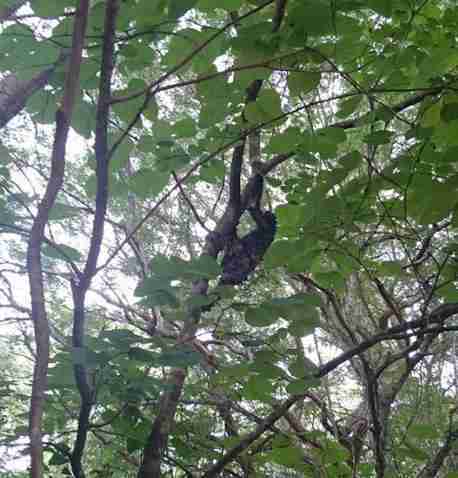 The sloths were transported to Revecom, a wildlife sanctuary managed by environmentalist Paulo Roberto Neme do Amorim. "We received these beautiful animals, and found that they were in good health," Amorim told The Dodo, indicating what likely awaited them had they not been rescued. "Here we have several species of wildlife, especially orphans to be sold in the domestic and international wildlife trade. But sloths are not sold as pets. They are sold to be processed into foods." Luckily for these sloths, they were able to avoid that grim fate. Yesterday, the three were released to live free on the grounds of Revecom where, Amorim says, they began to graze as normal. While there's a happy ending to these sloths' troubling ordeal, countless other victims of the wildlife trade aren't so lucky. According to the World Wildlife Fund for Nature, around 38 million animals are stolen from the wild in Brazil each year, condemned to a life in captivity, or worse. Click here to learn more about the wildlife trade, and to find out how you can help stop it.